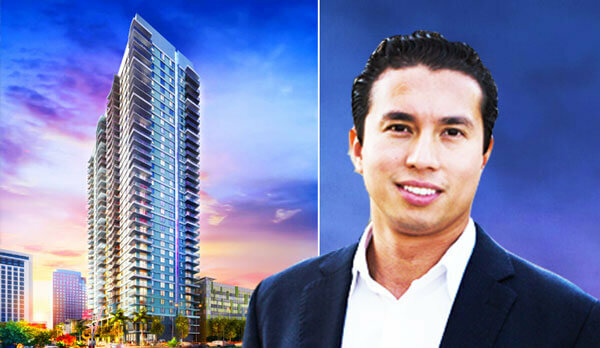 Silverback Development and Bizzi & Partners Development just paid $12 million for a five-block assemblage of properties in downtown Fort Lauderdale, with plans to develop New River Central, a luxury 35-story mixed-use rental tower. New River Central LLC, managed by developer Kevin J. Reilly, sold the six-parcel site at 100 Southwest Sixth Street, records show. Reilly paid a total of $7.15 million for the one-acre site in 2016. The properties sit on the southeast corner of Southwest Sixth Street and Southwest Flagler Avenue, near Broward County Central Courthouse. New River Central is projected to cost $125 million to develop, a spokesperson confirmed. New River Central will feature 401 apartments, 5,500 square feet of retail space, 20,000 square feet of amenities and a nine-story parking garage with 477 spaces, according to a press release. The partnership expects to break ground on the development in the fourth quarter of 2018. Former DHA Capital principal Josh Schuster formed Silverback in 2016, and this will be the real estate investment firm’s first project in South Florida, according to the release. In New York, the company is in the midst of completing two condo projects, including a ground-up project in Gramercy Park and a dormitory conversion in Brooklyn Heights. Prices have been rising in downtown Fort Lauderdale amid a wave of new developments and redevelopments. Thousands of apartments and condos have been built recently, are under construction or have been approved. Developments include Kolter Group’s condo tower 100 Las Olas,which at 499 feet will be downtown Fort Lauderdale’s tallest building; and Property Markets Group’s planned mixed-use project that will have 1,200 apartments and 40,000 square feet of shops and restaurants when completed, replacing the Las Olas Riverwalk shops.